Not all riding in Sun Prairie is on paved paths and roads. 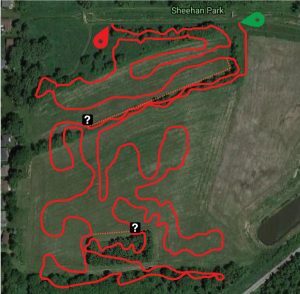 Due to the hard work of our local youth mountain bike teams, there are over two miles of singletrack offroad trails in Sun Prairie’s Sheehan Park. 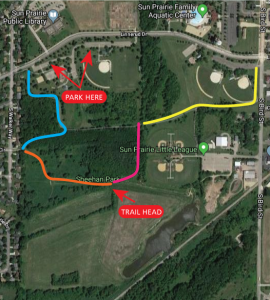 This trail system will continue to evolve via efforts from the Sun Prairie Youth Composite School Mountain Bike Team, the Red Fury Youth Cycling Team, and the local IMBA chapter, CORP (Capital Off Road Pathfinders). This singletrack trail includes tight turns over a humped prairie with some sections winding thru the trees. This trail is non-technical and suitable for both mountain bikes, cyclocross riding, and children’s push bikes. However, some tight turns and a couple rock sections may be difficult for newer riders. Novice bypasses have been added in these areas. There is a plan to add signs at these trail splits. Near the southern forests. 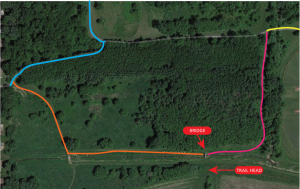 At the split, novice riders should make a right turn to avoid the southern two forest sections. At the long narrow forest section in the center. Novice riders should stay left. There are areas along the trail that absorb water. With that in mind, do not ride on them for the first few hours after a rain event. If your tires are leaving ruts or depressions in the turf the area is considered closed to riding. Riding during these wet conditions can damage the trails and expedite erosion. The trail is intended to be ridden clockwise. The best experience begins with riding up the hill. Sheehan Park is located near the center of Sun Prairie at the intersection of Linnerud Drive and S. Bird St. This park offers numerous amenities for families with the singletrack trails located on the south side. Click on the first image below for directions using online mapping software. Parking is available in lots along Linnerud and along Bird. We suggest parking in the west lot on Linnerud across from the library. From those lots follow the paved multi-use path along the west side of the park (see the blue line in the image). Make the first right hand turn onto another paved path. If you sweep to the left you went too far. Just before this path ends at S. Walker Way, make a left onto the grass path. 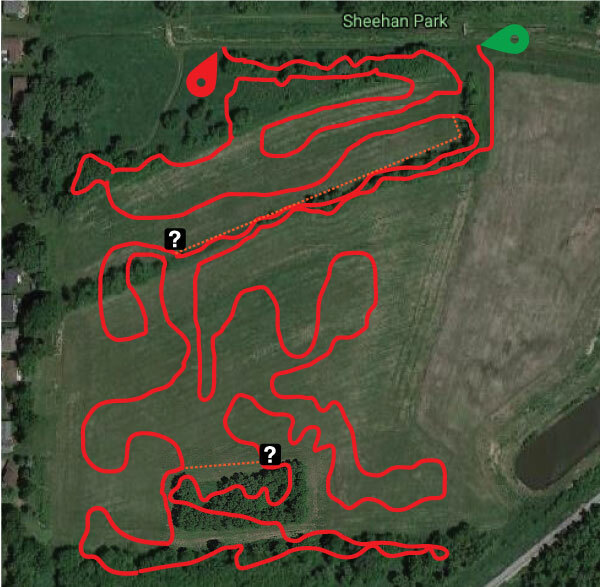 Follow this path (orange line in image) and take the first left turn onto another grass path. Cross over the bridge and you will be at the trailhead. If you park in the northeast lots, follow the paved multi-use path along Bird (yellow line). Take the first path to the right just past the baseball diamonds. Immediately after crossing over the bridge take a left and follow the grass path (pink line) down to the right. Cross over the bridge and you will be at the trailhead.